Please see below for each of the Checklist points. Each is followed by a link to an associated article and YouTube video addressing how to accomplish the point. An easily printable pdf copy of the the checklist is available here. 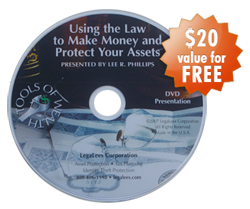 Editable documents and a comprehensive treatment of how to set up an LLC are available in our LLC Wizard packages. 1. Have you read and do you fully understand your Articles of Organization? 2. Have you fully executed and filed your Articles of Organization? 3. Have you appointed the appropriate members and managers of your company and had them sign the appropriate documents? 4. Have you issued Membership Interest Certificates? 5. Do you have a ledger of your Membership Interest Certificates? 6. Are you holding your annual meetings? 7. Have you given appropriate notice (and kept copies) of the Meeting of the Managers? 8. Have you kept proper and adequate minutes for the annual Meeting of the Managers? 9. 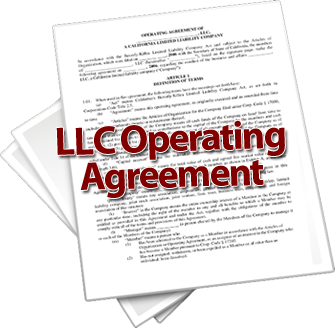 Have you adopted the Operating Agreement for your LLC? 10. Do you understand what is covered by the Operating Agreement and what protection it gives you? 12. Have you made the proper tax election (S corporation, Partnership, C corporation, or Sole Proprietorship)? 13. Is your LLC legally doing business in other states? If so, have you been sure to file all necessary filings in those states that your company is doing business in? 14. Have you made the appropriate resolutions of the Managers to authorize and document all major company acts? 15. Have you kept separate books and bank accounts for the company and yourself, making sure at all times never to commingle any funds? 16. Are you sure that your tax returns, books of account, and company records all say the same thing? 17. Are you sure that you have properly documented all transactions between you and the company, with resolutions, minutes, etc.? Article: Should I Reimburse the Company or Take a Distribution? 18. Have you executed every document that you have executed on behalf of the company as its manager/member, to guard against personal liability? 19. Was your LLC properly capitalized? 20. Have you documented all major transactions of the company business with resolutions, notes, contracts, etc.? 21. Do you have a resolution documenting the business purposes for any questionable deductions? 22. Are you current on the above formalities and paperwork? If you’re behind, do you know how to catch up? 23. Has your LLC adopted an expense account form for official company use that meets IRS guidelines?